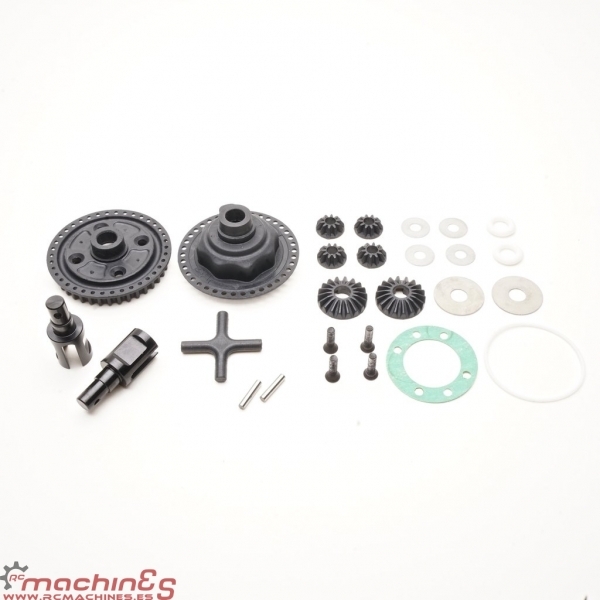 This new gear differential set with new wide gear shaft technology proven to minimise centre misalignment and wobbling during high revs. 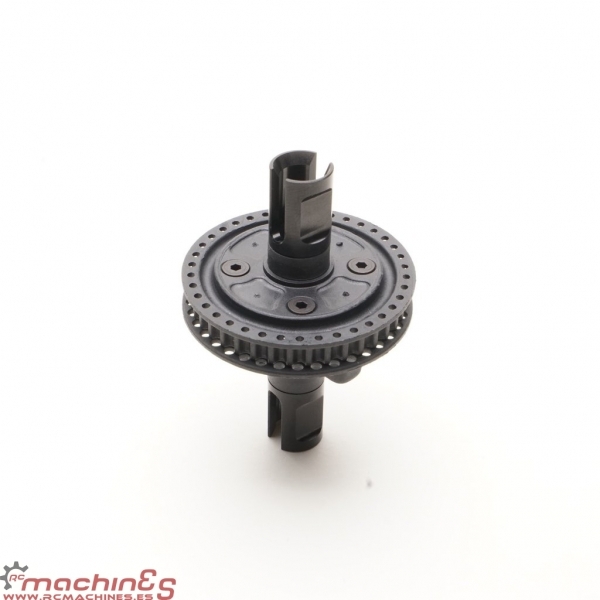 The new gear diff housing shaft and bearing slots are individually precision CNC machined to provide minimal tolerance. 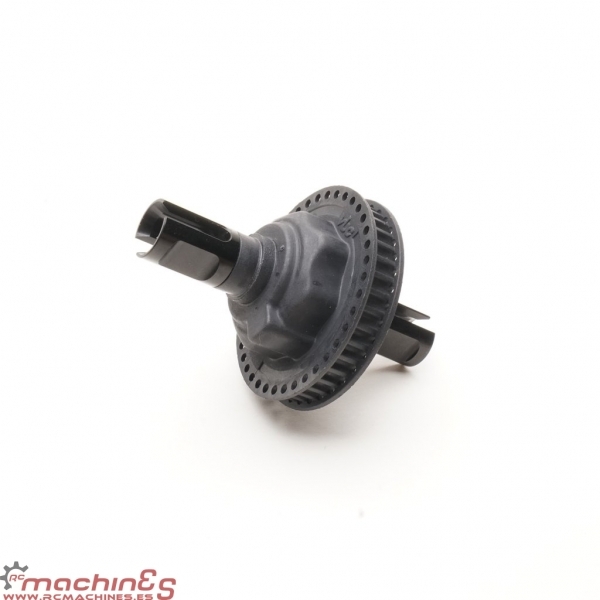 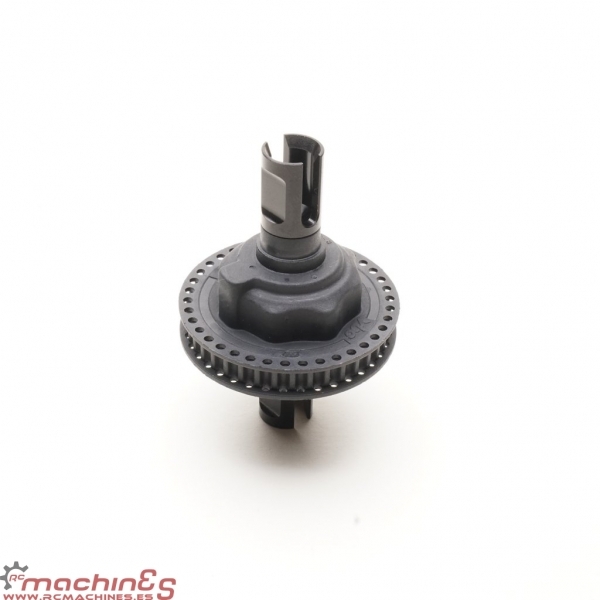 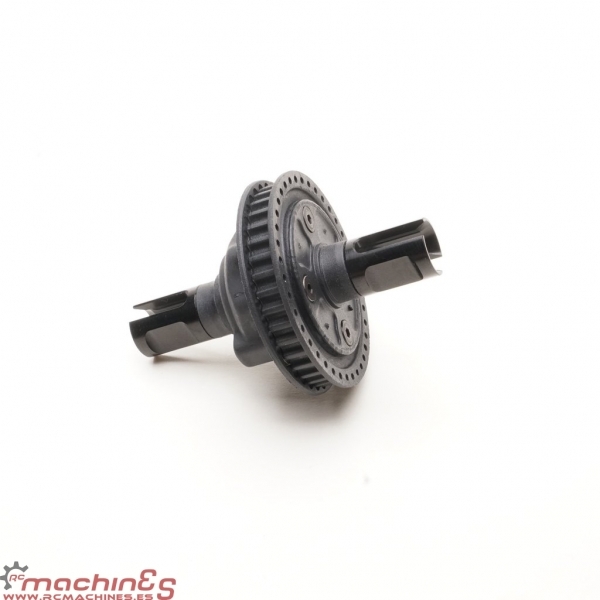 The housing, internal gears and internal gear shaft are made with carbon injected CompositeX compound which provide lightweight, long lasting and rigidity. 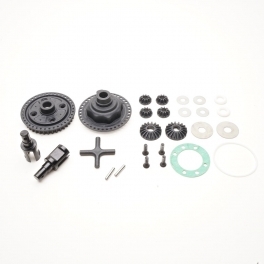 This gear diff set is compatible with all VBC WildFire series TC, Ghost series TC, FF18 TC as well as Xray T2/T3/T4 cars.